Opened in 2012, the Södra Climate Arena in pioneering green city Växjö is the result of an international architectural competition arranged by Södra — the organisation of forestry owners in the south of Sweden — to design a low carbon timber building that would accommodate an elite tennis academy. The competition received 193 entries from 23 countries, and was won by Danish architect Kent Pedersen, who had previously trained as a carpenter. The new tennis centre sits on a grassy site that slopes downward toward Lake Växjö, right next to Södra’s own headquarters. 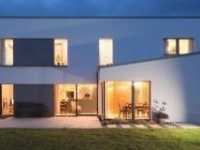 It was principally constructed from timber frame that was insulated with mineral wool, and scored a world-class airtightness test result of 0.13 air changes per hour. The facility is now run by Ready Play Tennis, a company established by Swedish tennis legend Stefan Edberg and other ex-pros to develop the country’s tennis stars of the future. The building features four tennis courts, classroom, meeting room, office, café, changing rooms and gym, and it won the Swedish Passive House Architecture Award in 2013. More recently, monitoring results show that the building’s heating consumption during the first two years was even lower than expected — and that it uses almost no energy for heating or cooling. 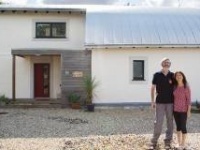 The Pumpkin Ridge Passive House in North Plains, Oregon, is no more expensive on a monthly basis than a typical custombuilt home, when taking account of energy bills as well as mortgage, taxes and insurance — that’s according to its builders, construction firm Hammer & Hand. Designed by Scott Edwards Architecture, the timber frame house negotiates a wooded sloping site, with a single storey on the north façade and two storeys plus a day-lit basement to the south. Optimising passive solar heating gains was a major design goal for the architects, while generous overhangs provide shade during the summer and allow solar heat gain during the winter. The design team kept the form of the building simple too, with few articulations. 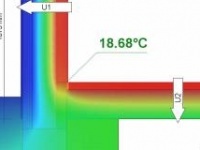 The modest surface-to-volume ratio that this affords means less heat loss, and less demand on the performance of the building envelope. During the design phase, Hammer & Hand ran thousands of simulations to optimise design elements like building siting, shape, window placement, wall thickness, insulation levels, and other design parameters— and this process was key to the affordability of the project, according to the firm. Villamediana de Iregua is a small town in northern Spain, with 7000 inhabitants, and under the area’s most recent urban plan, all public buildings must meet the passive house standard. The first opportunity to put this policy into practice came with the design of a new library in 2013. Opened last year, the new library’s design is based on two conjoined cubes: the large one serves as the main reading space for the library, while the smaller cube provides room for circulation and services. The building’s volume was moulded to lower its height eastward too, allowing the roof of the building to become a grassy outdoor reading area with a central courtyard that illuminates the library’s interior, ensuring all reading spaces have natural light. A maple tree in this courtyard also references the idea of the tree of knowledge. Designed by Play Arquitectura, the library is also half-buried, moderating its temperatures to help keep it cool in summer and warm in winter. This also minimises its height amid surrounding buildings, creating the perception of an “urban void”. 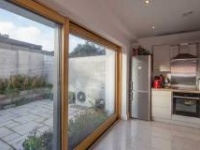 The building was constructed with lightweight brick that was insulated externally with polystyrene, with some mineral wool insulation on the inside, while airtightness is primarily provided by the plastered brickwork. The library’s south and west façades are the most heavily glazed for solar gain, with horizontal shades on the south façade, and vertical shades on the west — the latter creating a clever visual reference to rows of books on the library shelves inside.